« Grey Alien Games is 5 years old! I’ve been playing quite a few XBox Live Indie Games (XBLIG) recently and there are some really awesome games on there selling for virtually nothing (e.g. 80 points). Sadly not many people hear about them because they are a little bit hidden away in the Game Marketplace and XBLA gets all the attention. 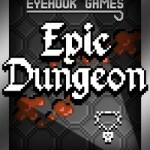 I’ll start with Epic Dungeon because a) it’s brilliant, and b) I’ve always wanted to make a game like this since I started programming nearly 30 years ago. I used to make mini roguelike RPGs on my 8-bit and 16-bit computers back in the day and when I heard about this game via the Indie Games Winter Uprising, I just had to try it out. Within about 30 seconds I knew I had to buy it, especially as at 80 points it costs less than a bus fare! If you like RPGs, just go and try it immediately, you won’t be disappointed. I tried out Soulcaster on a whim, and boy, am I glad I did! It looks like a Gauntlet-style game at first but you soon realise it’s quite unique. You control a wizard (well a summoner, I guess) who must summon different souls to protect himself as he ventures through a bunch of interesting environments. 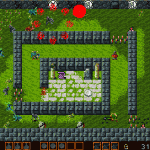 It plays kind of like a mobile tower defense game in that the summoned souls are your towers and you run around placing them and using the scenery to protect yourself. It’s just really well done and was quite frantic at times. I bought it one afternoon and just played it straight through to the end. Loved every minute. 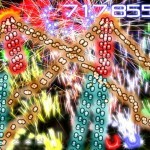 Crossfire is one of several excellent high quality games for only 80 points by Radiangames. I’ve bought pretty much all their games because they are so well done. They have a unique signature look and feel which really helps with the branding. 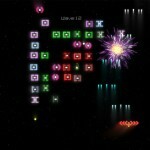 Crossfire is like Space Invaders with Geometry Wars-style graphics, except it’s way better than that sounds. It also has a unique twist of being able to flip up to the top of the screen to fire down onto the aliens. Anyway, it’s a fantastic game that’s fun to play more than once for sure. 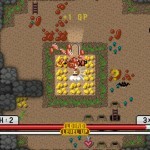 Check it out, and all the other games by Radiangames, you won’t be disappointed. 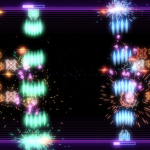 If you looked at Decimation X and said it was Space Invaders on steroids, you’d be about right. It’s really well done, fun and addictive and you can play it with 4 players at once (I play it with my two boys). It also has great music by Imphenzia that really drives the experience along. I’m a big fan of Imphenzia’s modern trance-style tracks – go and check out the site for downloads! Also a heads up that Decimation X3 is now out, and it’s also excellent. Pixel is a cute platformer about a cat with a unique art style. 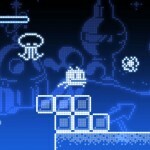 It’s a well made platformer that gets quite fiendish later on. Also worth checking by Arkedo are Jump (another great platform game, different from Pixel and with a cool art style) and Swap (a casual puzzle type game) – both are very high quality games. Yes, I like shooters OK? Especially awesome modern ones. 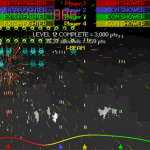 Retrofit – Overload is a Galaxians-style game (like Space Invaders except after they’ve all lined up, the aliens begin diving down at you, and there are challenge stages). It’s fast-paced, looks great, and plays well. Try it out. If you think Score Rush looks insane, you’d be right. It’s a frantic bullet curtain shooter but it’s done really well. Screenshots don’t do it justice as they look too crazy (almost put me off) but when everything is moving it makes a lot more sense. Watch a video, or better still, try the demo. Oh and it’s by the people who made Decimation X too! Also, some exciting news, I’ve been partnering with an existing XBLIG developer to bring one of my existing IPs to the XBox! It should be out before Christmas, stay tuned. I’m stoked! What XBLIG do you recommend? This entry was posted on Saturday, December 11th, 2010 at 9:38 pm and is filed under Game Recommendations. You can follow any responses to this entry through the RSS 2.0 feed. Both comments and pings are currently closed.